When we disburse your financial aid, we move your financial aid award from pending status to your balance due. We will disburse aid for Spring 2019 based on the following schedule. Click here to view the Summer 2019 Disbursement Calendar. Loans and Scholarships will begin disbursing the first week of classes as long as you are meeting the enrollment requirements (listed below) and as long as your classes have already started. If you are enrolled in a session that starts later in the semester, your aid will not disburse until all of your sessions start and reach the Official Reporting Day (ORD). All Grants will disburse after the ORD of your latest session, if you are meeting the enrollment requirements. This allows students to make changes to their enrollment status prior to the ORD without adversely affecting their financial aid status. Students must be meeting the enrollment requirements of their awards in order for their aid to disburse in a timely fashion. The amount of Federal Loans you receive is based on your yearly eligibility and requires at least six (undergraduate/professional) or five (graduate) hours of enrollment for the semester to be eligible to receive any amount. A completed Entrance Counseling and a signed Master Promissory Note (MPN) with studentloans.gov is required before a federal loan disbursement will take place. State loans may require you complete a MPN, and accept terms with the Texas Higher Education Coordinating Board prior to disbursement. Private/alternative loan disbursements will occur when the funds are received from your lender. As noted on your student disclosure, changes in enrollment may result in delays, adjustments or cancellation of your pending aid. All students have been awarded based on an assumed full-time status. If you are not enrolled full time, your aid and refund may be adjusted. These adjustments will take place after ORD. Your grant disbursements will not occur until we have reached the Official Reporting Date (ORD) of your latest enrolled session. The delay in grant disbursement will allow you to make changes to your enrollment status without it affecting your financial aid status by the ORD period, and will reduce the risk of you owing the University money because of an over-award situation. Pell Grant The amount of Pell Grant you receive is based on the number of hours you are enrolled in, as of the 12th day of class for the latest enrolled session; the information you provided on the FAFSA, and your lifetime limits already utilized. *Students who have applied for graduation should complete a revision request form to our office to adjust aid before disbursement. For more information on BankMobile services, visit https://bankmobilevibe.com/. For More Info: Disbursement FAQs. The University reserves the right to review, revise or cancel all financial aid at any time due to changes in your enrollment, financial and/or academic status or failure to comply with federal or state laws and regulations, including financial verification, audit procedures and University policies. In addition, all financial aid is subject to revision based on the funds received by the University from the federal or state government and any changes to federal or state laws, regulations or policies. This revision may occur after disbursement or after the semester has concluded. If your financial aid is disbursed at the beginning of the semester and you reduce your number of enrolled hours within the drop/add period, your aid will be adjusted to reflect your semester registration. 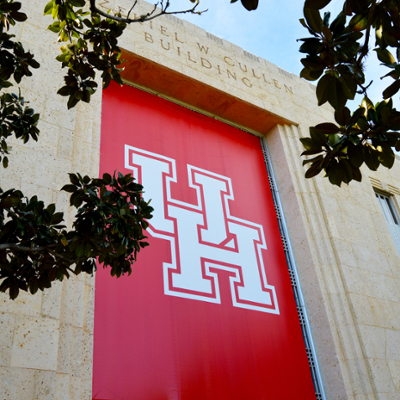 If your reduced enrollment results in less eligibility for aid, you will be charged for the overpayment of financial aid — creating a balance due on your UH student account.